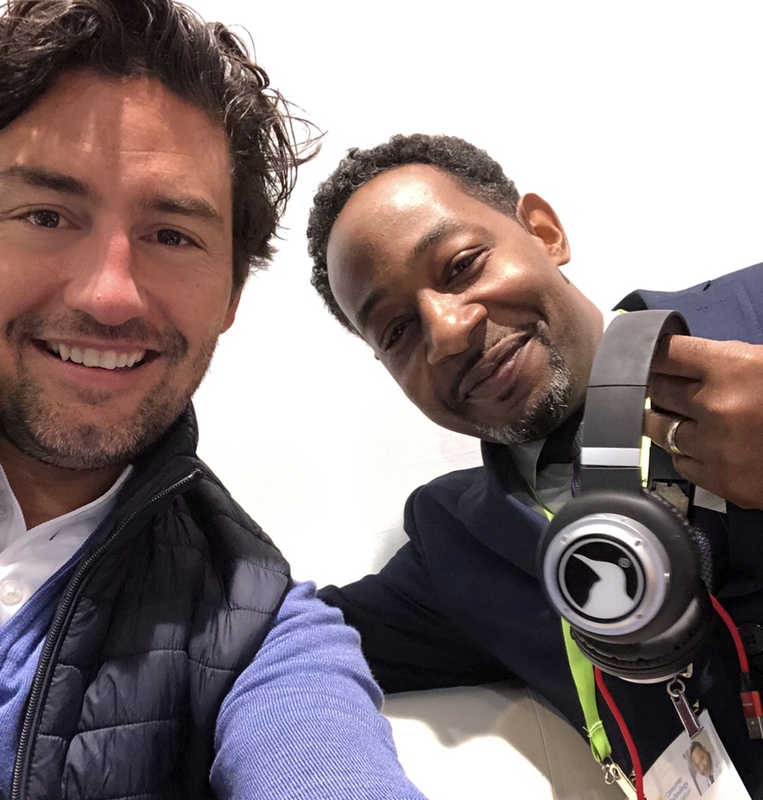 Endeavor Entrepreneurs Freddy Sidi and Johnny Bosche from Chargello started 2019 strong flying to Las Vegas to attend the annual International Consumer Electronics Show. CES takes place every year in Nevada and it showcases hundreds of new products and technologies in the consumer electronics industry. We spoke with co-founder Johnny Bosche about his experience and what’s next Chargello. Hi Johnny! 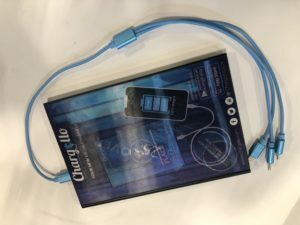 You just got back from Las Vegas where Chargello was present at CES. What was that experience like? It was my first time at CES, and can definitely confirm it’s ELECTRIC. You see the best and latest technologies that big companies have to offer, paired with the breakthroughs startups are bringing to the table. Let me tell you, startups are definitely leading the way! Why was it important for you and Freddy that Chargello be present at CES? We’re techno-optimist, and love staying up to date with emerging trends when we read about them. However, it’s important for Chargello to be part of the agenda itself and we could really only do that by being physically present. CES is also a great opportunity to see the direction in which charging technologies are going and at what rate. We met some of our indirect competitors, shared our experiences, our pains and glories and decided to keep in touch. All in all, we wanted to be part of the conservation leading our industry, that we may continue to be industry leaders. As you said, CES is famous for displaying the coming trends in technology. What trends were you most excited to see and why? Any that impact Chargello? Bell’s Airtaxi (to be used with Uber) is a breakthrough and can’t wait to fly on it. On the other hand, I was excited to see the electric, plumbing-less, 1-gallon Tetra dishwasher as it disrupts a major industry spearheaded with an eco-friendly approach. I also saw Robokind’s interactive robot, which aims to educate children with autism through the standard curriculum but with accelerated results. All these great innovations (the new phones, tablets, VR lenses, drones, robots, etc) need electric power. At this time, they’re all bound and tethered to a power source on a wall. Doesn’t matter what you see at the Consumer Electronics Show, Chargello is still the best solution for these items to break free from the power outlet and charge your devices on the go, all around the world. What would your advice be for other entrepreneurs who want to attend and/or participate at CES? First, to entrepreneurs in general: CES dominates Vegas though immense halls and hotels. It’s almost omnipresent. That being said, I don’t know how many different models of TVs, Drones, VR sets the world needs. It seemed a lot of the tech, especially the one that sells is set to “entertain”. While definitely not a science conference, CES reflects directly on what we as a society “demand”. I’d say the best entrepreneurs have gotten where they are by solving problems. I think great/important entrepreneurs solve great/important problems. Walking along the many “start-up only” camps, I didn’t get the feeling we were addressing pressing issues. If you want to attend CES, buying a ticket is pretty simple (and can be cheap as you only need to survey CES and network accordingly). To participate, I’d say first attend one year, and then plan ahead for the next, with at least 6 months preparation. Set goals, metrics, and expectations, and make sure your budget, location, and presence are aligned with what you’re looking for. Whether it’s awareness, R&D, or sales, you can do it all if you prepare. It’s definitely overwhelming, and you should do your best to stand out.